In plain English, the State of Ohio is very harsh on motor vehicle violations. Ohio has criminalized many violations that in other states are simple non-criminal infractions. Violations such as driving while texting (§ 4511.204); speeding on bridges (§ 4511.23); littering (§ 4511.82); failure to stop at a property damage accident (§ 4549.03); and failure to yield to a pedestrian (§ 4511.46); which are non-criminal violations / infractions in other states are criminalized as misdemeanor traffic violations in Ohio. A conviction for a motor vehicle crime has broad reaching implications. Such a conviction creates for you a permanent criminal history. Many of the convictions carry mandatory license suspensions and they all carry discretionary suspensions. They also all cause a major insurance increase. The goal of our Butler County, Ohio traffic court attorneys and lawyers is to negotiate a plea to a non-criminal violation to prevent a suspension, criminal record, and insurance increase. In addition, if there has to be a license suspension as a condition of a plea our Cincinnati, Ohio traffic court lawyers can often obtain for you conditional, restricted driving privileges to at a minimum get to school and/or work. Our Hamilton County, Ohio motor vehicle criminal defense attorneys stand ready to represent and defend you against your Cincinnati area automobile charges. Our Ohio defense lawyers can represent you if you were arrested on Interstate 75 driving from Cincinnati, Ohio to Dayton, Ohio. Our lawyers represent motorists who were arrested driving from Butler County, Ohio to Brown County, Ohio whether you were arrested in either county, the city of Cincinnati, or Clermont County, Ohio. We also represent those arrested in I-71 driving through Warren County, Ohio. Below is a schedule of the most common Ohio motor vehicle crimes that our office defends. This is not exhaustive. Our Ohio traffic court lawyers and attorneys defend against all motor vehicle crimes. 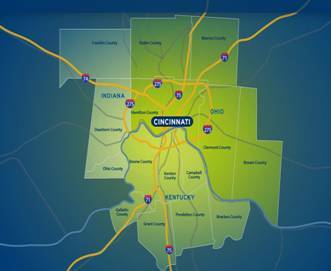 There are numerous defenses that our Clermont County, Ohio traffic court lawyers employ in defense of your case. The first area of defense we explore is whether the underlying stop was legal. If not, then we would move the Cincinnati City Court to suppress any evidence gleaned under the legal doctrine of “fruits of the poisonous tree,” which requires that a court suppress any evidence from trial that was illegally obtained. If the prosecution is unable to enter evidence of the criminality at trial then the court must dismiss the charge or charges. Another area we explore are any statutory defenses or exclusions. These are commonly called “affirmative defenses.” Under an affirmative defense, the defendant is admitting he or she “did it,” however had a legally justifiable excuse enumerated in the law. Yet another area of defense is investigating whether the arresting officer is competent as a witness against our client. Under § 4549.13, § 4549.14, § 4549.15, § 4549.16, the arresting officer must have been in a marked police unit and the departmental uniform in order to make an arrest on a motor vehicle crime and testify against a motorist in court. There are just a few of the areas our Warren County, Ohio traffic court lawyers explore in defense of your case. Give us a call today toll free for a no cost, no obligation phone consultation.